Gynecologic oncologist Carol Brown was invited to speak about cancer disparities among women at the United State of Women Summit in Washington, DC. Gynecologic oncologist Carol Brown was invited by the White House to speak at the United State of Women Summit in Washington, DC. Dr. Brown spoke about the National Cancer Moonshot Initiative and how it can help alleviate cancer disparities among women. She emphasized the importance of increasing the enrollment of minority and underserved populations in clinical trials and the need for women to prevent cancer through a healthful lifestyle, screening, and getting the HPV vaccine. Carol Brown addressed a summit organized by the White House. The summit focused on women’s accomplishments and challenges. Dr. Brown spoke about ways to reduce healthcare disparities. Increasing minority enrollment in clinical trials is key. Gynecologic surgeon Carol Brown has long been committed to making healthcare more accessible to everyone — a passion first sparked when, as a girl in Los Angeles, she saw her father work tirelessly to establish the first hospital in an underserved area in Watts. Today, Dr. Brown is addressing the United State of Women Summit in Washington, DC. The summit is focused on celebrating progress made on behalf of women and girls and discussing solutions to the barriers they still face. She was invited to speak by the White House after taking part in a roundtable discussion with Vice President Joe Biden at MSK on May 26 devoted to brainstorming ideas for the National Cancer Moonshot Initiative. 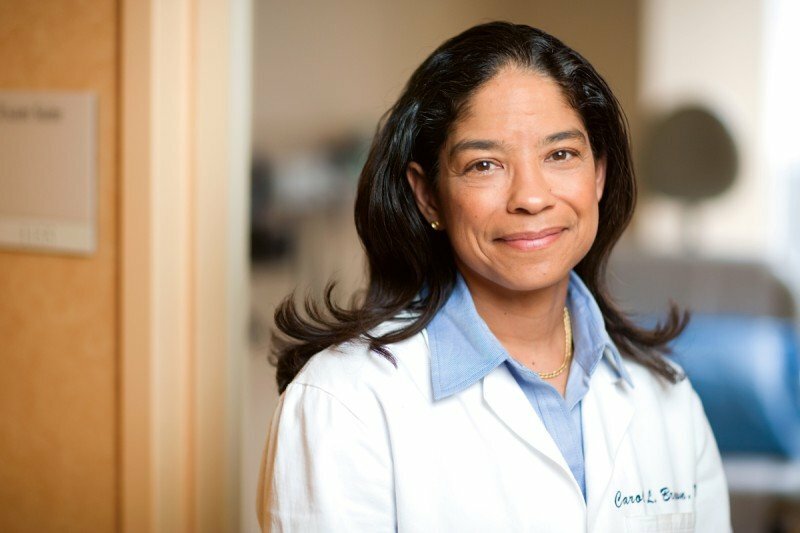 In addition to caring for women with cancer, Dr. Brown is currently Director of MSK’s Office of Diversity Programs in Clinical Care, Research, and Training as well as Associate Cancer Center Director for Diversity and Outreach. We asked Dr. Brown to expand on the points of her talk today, which discusses how the Moonshot Initiative can help alleviate cancer disparities in women. What are the most urgent needs in women’s cancer care? Why do certain populations tend to have worse cancer outcomes? Part of this is lack of access to care and health insurance, but the disparities go beyond that. For example, African-American women have a much higher chance of dying from uterine cancer than white women and a much lower five-year survival rate, even when they receive the same care. So part of it has to do with tumor biology, molecular differences that vary with race and ethnicity. Scientists have found that different racial and ethnic groups may have gene variants that affect how they respond to treatments. What’s the most immediate way to reduce cancer disparities? As a surgeon caring for women with cancer at a leading center for over two decades, I have learned that one way to eliminate cancer disparities is to get more people with cancer to participate in clinical trials. By joining a clinical trial, minority and underserved patients can get innovative treatments they wouldn’t otherwise be able to access. It’s just as important for cancer researchers to include minority patients in their studies so they can find out if these novel therapies work for the patients who need them most. One way to eliminate cancer disparities is to get more people with cancer to participate in clinical trials. 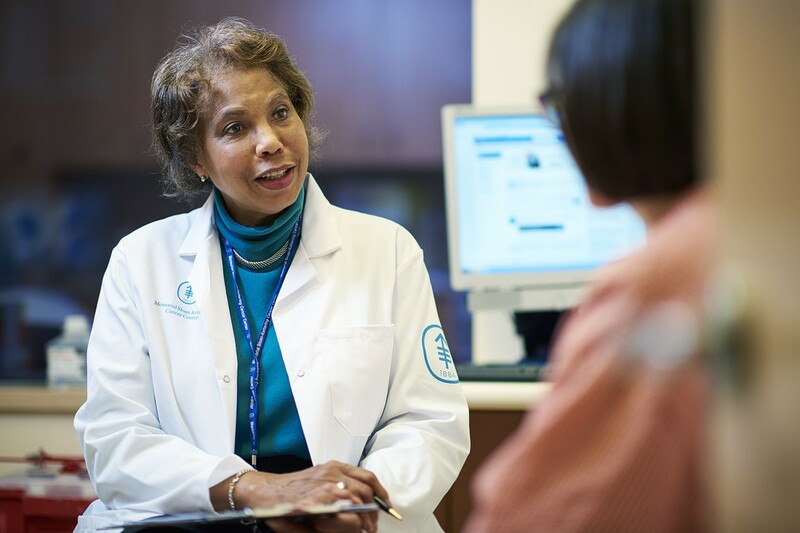 For example, despite their higher risk for developing uterine cancer and their lower survival rate, African-American women are not well represented in uterine cancer clinical trials — in fact, they make up less than 10% of those enrolled. We could save the lives of thousands of African-American women with uterine cancer each year by enrolling them in clinical trials. How can we increase enrollment in these trials? At MSK, I lead a program called Cancer Health Equity Research Program (CHERP), which partners with hospitals serving mostly poor and minority patients to bring them cancer clinical trials close to home, where they are receiving care from a community oncologist. Current CHERP partner institutions include Queens Cancer Center in Queens and Kings County Hospital Center in Brooklyn. After searching our online database of clinical trials, our research staff members work side-by-side with these oncologists to find studies that meet the specific needs of their patients. This is also helping guide how we plan the trials — for example, we identified an urgent need for better treatments for triple negative breast cancer, an aggressive disease that disproportionately affects young women of African-American descent. To address this, we will soon have a trial open at our partner hospitals for women with this type of breast cancer. We plan to use MSK-IMPACT®, a powerful diagnostic test that provides genetic information about a patient’s cancer, to find out what tumor-specific molecular differences may be present. Using this test will also enable us to bring new targeted therapies to these patients because we will know which molecular pathway to block. We’re confident that this academic–community partner approach could be expanded to women nationally through collaborations among cancer centers, industry, the National Cancer Institute, and women’s cancer provider groups like the Society of Gynecologic Oncology. This could dramatically improve outcomes and speed progress. In addition to increasing clinical trial enrollment, what are some other ways women could be better served by the cancer community? It can be overwhelming to navigate the complex system of cancer care, and many people have a difficult time understanding their disease and their treatment. We need to give women the tools to manage this difficult process. Since women are often the primary caregivers for their entire family, they are even less likely to have the time or resources to get through a complicated system because they’re so busy taking care of everyone else. The National Cancer Moonshot Initiative is working to make it easier for patients to access their own health records, improving the user experience so they can find cancer information and clinical trials online, and enhancing the resources and reach of community oncologists, who actually provide 75% of cancer care. What can women themselves do to reduce their risk? One out of every three women will face a cancer diagnosis, but we can improve these odds greatly by not smoking, being physically active, getting to and staying at a healthy weight, and making sure our sons and daughters get vaccinated against HPV infection, which increases the risk of many forms of cancer, including cervical cancer and head and neck cancer. Above all, women should remember that knowledge is power — we should all be empowered and empower each other. Know the symptoms of women’s cancers, know your risk, and get your regular check-ups and screenings. We can end cancer disparities and end cancer as we know it — for women in the United States and around the world. It's my understanding that African and African-American women are more likely to get uterine leiomyosarcoma. In rare diseases like this, we need more epidemiological research, more genomic data from women of color and more outreach from patient-advocacy groups. I can't wait for Dr. Brown to be president of the Society of Gynecologic Oncologists because she is so patient-centered. Thanks for your comment, Suzie!